De sjaal ziet er prachtig uit. Dank je wel Gre! Wat leuk om van je te horen! Thanks for your wonderful comment, you made my day! 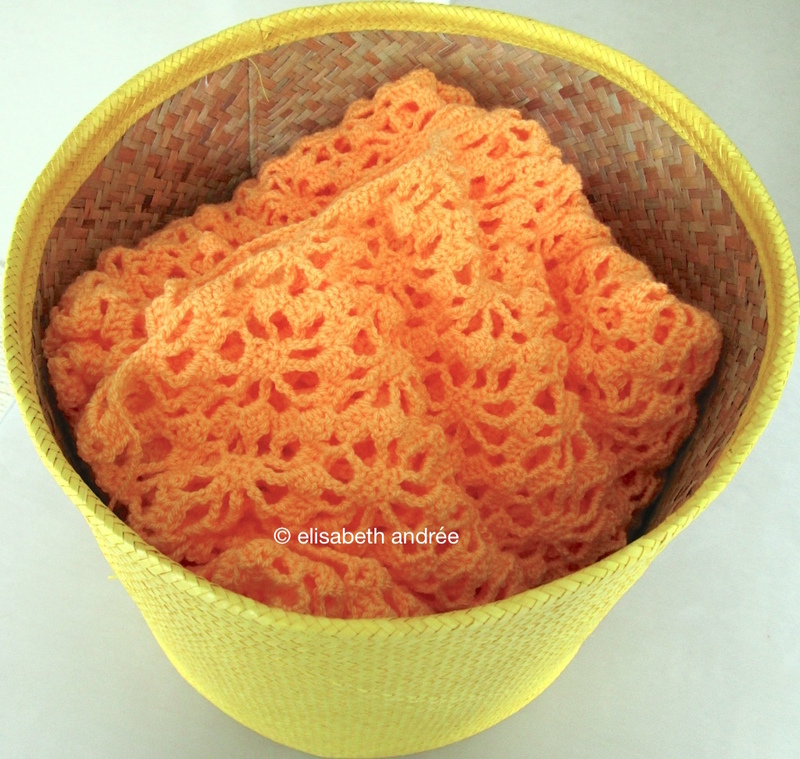 The orange is a yellow kind of orange, it is Stylecraft Special DK and the name is Saffron. So glad you like the blanket AND the cushion cover! Thank you! I will make a better photo and post it next week. Hope I won’t forget…. Gorgeous cushion cover and spider blanket, great colours… I don’t make enough in orange, I love it! Thanks for your kind words! Enjoy your weekend! All of these are gorgeous – the cat bed looks like a little trampoline! Thank you Lucy, really nice to hear from you! Have a great weekend! Estoy maravillada por tus hermosos trabajos! Felicitaciones! Thank you Estella! Enjoy your weekend!